After making his debut in Khoobsurat and winning Filmfare Award for Best Male Debut and getting unanimous praise for Kapoor & Sons as well as starring in Ae Dil Hai Mushkil, Fawad Khan has now been signed for a Salman Khan’s next with director Nitin Kakkar. Yet another movie in the romance genre by Fawad Khan goes to show you that the Pakistani heartthrob is playing his cards right by delivering the content his growing female fan following craves. Fawad Khan will also be seen with the beautiful Katrina Kaif in a film titled Raat Baaki. 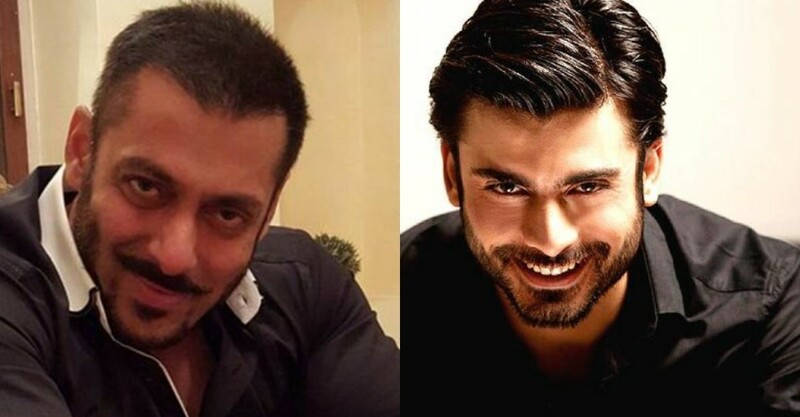 There have been numerous reports of Fawad being a part of another Salman Khan’s production Jugalbandi. Now the question is, which will he appear in first; Nitin’s next movie or Jugalbandi? That decision will be based on Salman’s wrap up of Kabir Khan’s Tubelight. Let us know how excited you are by commenting and sharing this news!